Emanuele Calabrò is a PhD, full Professor of Physics at the Institute of Industrial Technology of Messina, Italy. He have obtained the National Scientific Qualification for University Associate Professor. He have published about 100 refereed papers , he is author of several monographs and book chapters and he is reviewer of several ISI journals and editor of prestigious special issues. Study of molecular biology, chemical systems and petroleum compounds by infrared spectroscopy. Study of effects of man-made electromagnetic fields on organic systems. Study of bioprotectors. Environment. Climatology. Use of solar energy for energy production on Earth. Astronomy and space sciences. Dr. Hong Jin Kim received B.S degree from Korea University in 1999, M.S. from Korea Advanced Institute of Science and Technology (KAIST) in 2001, and Ph.D. in materials science and engineering from The Ohio State University in 2007, respectively. From 2007 to 2013, he had worked at Samsung Electronics Semiconductor R&D center for the advanced memory device development. His major research has focused on materials aspect of tribology, interfacial behavior of materials, semiconductor processing, and chemical mechanical polishing.He published 1 book chapter and 46 papers. He did more than 70 conferences presentations as author/co-authored, and holds 9 patents. His papers are featured at Advances In Engineering, ADINA news, and Tribology and Lubrication Technology. He also has served as editorial board member in several journals (JNNA, AMPC, MME, KSTLE) and technical committee member in international conferences (ADMETA, IFToMM, ICAMM, HKASE). He has wide and in-depth experiences on FEOL/MOL CMP process development, CMP consumables engineering, fundamentals of CMP, post CMP cleaning, and defect engineering in semiconductor processing. Dr. Osman Adiguzel graduated from Department of Physics, Ankara University, Turkey in 1974 and received PhD- degree from Dicle University, Diyarbakir-Turkey. He studied at Surrey University, Guildford, UK, as a post doctoral research scientist in 1986-1987, and his studies focused on shape memory alloys. He worked as research assistant, 1975-80, at Dicle University and shifted to Firat University in 1980. He became professor in 1996, and he has already been working as professor. He supervised 5 PhD- theses and 3 M.Sc theses. He is also Technical committee member of many conferences. He received a certificate which is being awarded to him and his experimental group in recognition of significant contribution of 2 patterns to the Powder Diffraction File – Release 2000. The ICDD (International Centre for Diffraction Data) also appreciates cooperation of his group and interest in Powder Diffraction File. Shape memory effect and displacive phase transformations in shape memory alloys and other alloys, molecular dynamics simulations, alloy modeling, electron microscopy, x-ray diffraction and crystallography. Alexander Seifalian, Professor of Nanotechnology and Regenerative Medicine worked at the Royal Free Hospital and University College London for over 26 years, during this time he spent a period of time at Harvard Medical School looking at caused of cardiovascular diseases and a year at Johns Hopkins Medical School looking at treatment of liver. He published more than 647 peer-reviewed research papers, and registered 14 UK and International patents. He is currently CEO of NanoRegMed Ltd, working on the commercialisation of his research. During his career Prof Seifalian has led and managed many large projects with successful outcomes in terms of commercialisation and translation to patients. In 2007 he was awarded the top prize in the field for the development of nanomaterials and technologies for cardiovascular implants by Medical Future Innovation, and in 2009 he received a Business Innovation Award from UK Trade & Investment (UKTI). He was the European Life Science Awards’ Winner of Most Innovative New Product 2012 for the “synthetic trachea”. Prof Seifalian won the Nanosmat Prize in 2013 and in 2016 he received the Distinguish Research Award in recognition of his outstanding work in regenerative medicine from Heals Healthy Life Extension Society. His achievements include development of the world first synthetic trachea, lacrimal drainage conduit, and vascular bypass graft using nanocomposite materials, bioactive molecules and stem cell technology. He has over 15,000 media report from his achievement, include BBC, ITV, WSJ, CNN, and many more. His research interest includes development and commercialisation of human organs using graphene based nanocomposite materials and stem cells technology. Manijeh Razeghi is the Walter P. Murphy Professor of Electrical Engineering at Northwestern University and Director of the Center for Quantum Devices, which she founded in 1991 after a successful 10-year career as the Director of Exploratory Materials at Thomson-CSF, France. She is one of the leading scientists in the field of semiconductor science and technology, having pioneered the development and implementation of major modern epitaxial techniques. Her current research interest is in nanoscale optoelectronic quantum devices from deep-UV up to terahertz. At Northwestern University she has commercialized aluminum-free pump lasers, developed type-II superlattices for next generation infrared imagers (an area in which she holds key patents), and currently holds most of the quantum cascade lasers records for high power and tunability. She has authored 18 books, 31 books chapters, and more than 1000 journal publications. She is editor, associate, and board member of many journals, including Nano Science and Nano technology. Her awards include the IBM Europe Science and Technology Prize, the SWE Lifetime Achievement Award, the R.F. Bunshah Award, the IBM faculty award, Jan Czochralski Gold Medal, and many best paper awards. She is a fellow of SWE, SPIE, IEC, OSA, APS, IOP, IEEE, and MRS.
She has expertise in functional nanomaterials including metal, semiconducting, and oxide nanomaterials synthesis, as well as the applications of the functional materials in solar energy harvesting and life sciences. Dr. Vladimir Sobolev is a professor at the Department of Physics of the South Dakota School of Mines and Technology. Dr. Sobolev earned his M.S. Degree from the Kharkov State University in Ukrainian SSR; he earned his Ph.D. in Physical & Mathematical Sciences from Donetsk Physics & Technology Institute of the Academy of Sciences of the Ukrainian SSR; obtained his Habilitation Degree of Doctor of Physical & Mathematical Sciences from The Supreme Attestation Committee of the USSR. During his teaching and research career Dr. Sobolev taught in Ukraine, Taiwan and the U.S.A.
His main research interests are in wide range of properties of materials with spontaneous polarization (ferroelectric, magnetic, and magnetoelectric substances), phase transitions in materials with spontaneous polarization, kinetic and relaxational behavior of systems of interacting quasiparticles in substances subjected to the action of intense external alternating fields (magnetic and electric fields), optical properties of magnetic and magnetoelectric materials, and properties of high-temperature superconducting materials. Results of his research have been published in more than 300 articles. His results were presented in more than 150 presentations at different conferences. He authored several invention patents on methods of measurements of parameters of thin magnetic films. Prof. Dr. Hans-Jörg Fecht is a Director EUREKA Cluster Office Metallurgy Europe, Ulm - Brussels. He has been a Senior Scientist, Karlsruhe Institute of Technology KIT, Institute for Nanotechnology.He was a Chaired Professor of Materials Science (C-4) Director Institute of Metals Research Technical University Berlin, Germany during 1993 – 1997.He served as a Professor of Metal Physics (C 3) Augsburg University, Germany He worked as a Senior Research Associate, Department of Materials Science California Institute of Technology, Pasadena, U.S.A during 1987 – 1990.He was a Post doctoral Research Associate Department of Material Science and Engineering, University of Wisconsin-Madison, U.S.A. from 1984 – 1987. Dr. Gu Xu is a Professor of Materials Science and Engineering Department at McMaster University, Canada. He received his Ph.D. degree in Physics from University of Pittsburgh, USA in 1987, and his Doc Eng Sci in Materials Science and Engineering from Columbia University, USA, in 1989. He then worked as a postdoc from 1989-1991, and became an Assistant Professor in 1991, Associate Professor in 1996 and Full Professor in 2002, all at McMaster University, Canada. He was elected as a Fellow of the Canadian Academy of Engineering in 2015. Dr. Xu’s research is focused on Polymer Fuel Cells, Nanostructures and Organic Opto-electronics. His team discovered the origin of the mysterious bi-stability, found in both organic light emitting devices and organic memory devices, in addition to the organic light emitting device degradation mechanism, involving the origin of dark spots as well as intrinsic mode, which led to the lifetime improvement to reach the commercialization threshold. His team also offered the first conclusive evidence of hydrogen saturation in carbon nanotubes, targeted towards automobile fuel cells. Prof./Dr. Jean-Paul Lellouche earned his PhD degree in 1981 (University Claude Bernard/La Doua, Lyon, France). In 1997, he moved to the Ben-Gurion University of the Negev (Beer-Sheva, Israel) as an Associate Professor in Organic Chemistry. Then, he joined the Department of Chemistry/Institute of Nanotechnology & Advanced Materials (BINA) at Bar-Ilan University since October 2000 as a Full Professor in Organic Chemistry/Nano(bio)technology (July 2008) & Dpt Head (Oct 1917-July 1918). His current R&D activity includes R&D developments at the cutting-edge Materials Science level interfacing with nano(bio)technology (nanofabrication methodologies & nanomaterial engineering). He has authored 150 peer-reviewed papers, 15 patents, and 4 book chapters while attracting more than US$ 6,581,000 in external grant funding. His main research interests focus on conductive polymers, scratch-resistant/super-hydrophobic sol-gel & polymeric surfaces/matrices, magnetic & non-magnetic polymeric nanoparticles/nanorods for DNA sensing/delivery/anti-Leishmania bio-activity, MRI & drug delivery/gene silencing (siRNA technology), antibacterial nanomaterials and coatings, UV-photoreactive nano(micro)particles for surface nano(micro)structuration of polymeric coatings, metal catalyst particles (renewable energies/fuel cell technology), & transition metal dichalcogenide structures (TDCMs) functionalization & end-user applications (for example mechanically hard lubricating composites & anti-cancer photothermal therapy features-capabilities), drug delivery/optical repairing nanoscale systems based on novel Human Serum Albumine (HSA)/recombinant HSA nanoparticles/MRI-enabling composites together with environmental-safe antibacterial and anti-biofouling hybrid silica (SiO2) together with BSA nanoparticles/coatings building on antibacterial Essential Oil (EOs) components. Prof. Jhinhwan Lee received his Bachelor’s degree from Seoul National University in 1995. After he obtained his Ph.D. degree from Seoul National University in 2002, he joined Professor J. C. Davis’ Laboratory at Cornell University as a Postdoctoral Associate in 2004 and was appointed Research Associate in 2007. Jhinhwan Lee went to Korea Advanced Institute of Science and Technology as Assistant Professor in 2009 and began his life-long investigations on magnetism and unconventional superconductivity. He received Korea Physical Society Bombee Physics Award in 2004 and the Albert Nelson Marquis lifetime achievement award in 2018. His works include bandgap engineering of nanotube published in Nature (2002), phase fluctuating superconductivity in pseudogap state of cuprates published in Science (2009), scanning probe microscope for advanced material research published as a cover paper in Review of Scientific Instruments (2017) and switching iron-based superconductivity using spin current published in Physical Review Letters with Viewpoint (2017). Dr.John Spray is awarded PhD from University of Cambridge, UK. He holds a Master Degree from University of wales, at Cardiff, UK. He is a tier 1 Canada research chair for planetary materials and Director at Planetary and Space Science Centre. He expanded his interest in planetary impact to include ballistics R&D in relation to defence, aerospace and space applications, and has been a recipient of many award and grants. Currently, he is working as a Professor for University of New Brunswick, Canada. His international experience includes various programs, contributions and participation in different countries for diverse fields of study. His research interests as a Professor reflect in his wide range of publications in various national and international journals. My primary area of interest involves high-strain rate deformation processes in natural and synthetic materials. This includes investigating the effects of shock-wave materials interactions and high-speed slip. Natural samples are studied through researching impact cratering processes and products on Earth, the Moon and Mars, including meteoritic material from the terrestrial planets, asteroids and comets. Specific interests are high-strain rate behaviour related to hypervelocity impact, including friction- and shock-induced melting and solid-state shock transformations in rocks and minerals. The evolution of planetary regoliths is also being investigated (especially for the Moon and Mars). The characterization of impact structures involves detailed field studies of terrestrial examples (mapping, sampling and remote sensing), especially at Sudbury (Ontario), as well as other Canadian impact structures (e.g., Charlevoix, Manicouagan) and others abroad. One of my primary aims is to understand the modification stage of impact crater formation, especially through studies of impact-generated radial and concentric fracture and fault systems that facilitate slumping and central uplift formation. Field studies are typically followed by lab-based work involving analytical electron microscopy (microprobe and scanning electron microscopy), major, trace and REE chemistry and radiometric dating (e.g., (U-Th)/He, Ar-Ar and U-Pb collaborative work). More recent research directions include the development of new technologies to facilitate exploration in remote terrains on Earth and for planetary applications (e.g., non-contact analytical techniques for rovers). Since 2009, I have expanded my interest in planetary impact to include ballistics R&D in relation to defence, aerospace and space applications. This is manifest in the establishment of an off-campus ballistics capability, the High-Speed Impact Research and Technology Facility, financed by industrial, federal and provincial contributions, the aim of which is the testing and development of impact-resistant materials for the protection of humans and infrastructure. In 2013 Dr. Forrest Meggers came to Princeton jointly appointed in the School of Architecture and the new Andlinger Center for Energy and Environment. He was previously in Singapore as Assistant Professor in the Dept. of Architecture at the National University of Singapore where he had traveled initially as a senior researcher and research module coordinator in the Singapore-ETH Centre’s Future Cities Laboratory. He has degrees from Mechanical Engineering (BSE), Environmental Engineering (MS), and Architecture (Dr sc.). His fields of knowledge include building systems design and integration; sustainable systems; renewable energy; optimization of energy systems; exergy analysis; geothermal; seasonal energy storage; low temp hybrid solar; building materials; thermodynamics and heat transfer; and heat pumps. In Singapore he has researched new low exergy building systems for the tropics where as the Low Exergy Module Coordinator he led the research of 5 PhD students and built and transported a novel building laboratory, BubbleZERO from Zurich to Singapore. Previously in Zurich, Switzerland he worked as a Researcher for the Building Systems Group where he received his PhD in the Dept. of Architecture at the ETH Zurich. He also directed research on sustainable systems for the president of the ETH Board. Originally a native of Iowa, Forrest worked on many sustainability projects at the University of Iowa, and worked with Jim Hansen, renowned climatologist at Columbia University and director of NASA GISS, as a Researcher on US Building Stock CO2 emissions. Through all his international and research experiences he always prides himself as an Iowan and a bicycle mechanic. Piedad N de Aza studied Chemistry at the Autonoma University of Madrid and Ceramic at the Santiago de Compostela University where she received her PhD. She did a postdoctoral stage at the IRC in Biomaterials at the Queen Mary & Westfield College, University of London (U.K.) working on in vitro and in vivo behavior of bioceramics. At this moment, she is the Head of the Materials Science, Optic and Electronic Technology Department, Professor of Materials Science and Metallurgical Engineering and Researcher in the Bioengineering Institute at the Miguel Hernandez de Elche University. Design and developing new polycrystalline biomaterials (dense and porous) with controlled microstructures making use of appropriated phase equilibrium diagrams and to study, a part of their physical properties, their behaviour in vitro (stem cells) and in vivo (bioactivity in rats and rabbits). Actually, main emphasis is putting on the tissue engineering field study of the tissue-ceramic implant interfaces. Dr. K. Bari, Priciple Lecturer in the Engineering Department at University of Wolverhampton and leader of the Material Science and Failure Analysis reserach. His research interest is experimental and numerical simulation of material failure in the automotive and aerospace industry. His fundamental research work has led to better understand of distorsion energy theory in high speed rotating components and their equivalent dynamics stresses under vibration. Recently, Dr. Bari has been appointed a research chair at Renishaw Plc for bone implant lattice structure manufactured using state-of-art 3D printer. Dr. Bari reserach is supported by leading software componies such as Ansys in explicit dynamic simulation and star CCM+ in CFD simulation. Dr. Bari is a reviewer in EPRSC funding panel in the field of high resolution X-ray tomography imaging and recently, he has been peer-reviewed £1.8M EPSRC fund awarded to the University of Southhampton. He has over 25 journal and conference publications in the field of material performance under harsh environment, design and optimization of metallic and polymeric composite, X-ray tomography and multi-scale modelling of composite mechanics. Lidietta Giorno is the director of the Italian Institute on Membrane Technology (ITM-CNR). She is an expert in membrane technologies, in particular for applications in biotechnology. She has a background in biological sciences and new materials. Lidietta coordinates research projects at national, European and international level and develops collaborations with China (International Centre of Weihai) and South Korea (Hanyang University in Seoul). She brings to EMH her broad knowledge in the food, biotech and biomedical fields. Dr. Barnali Ghosh (Saha), is now working as a Scientist, (Associate Professor) in the Department of Condensed Matter Physics and Material Sciences and Head of the department of Technical Research facility programme. She is a member of Indian Physics Association. She got Ph.D degree in Physic award in 1998. She got research Awards in Woman Scientist programme in 2003 and 2008 from “Department of Science and Technology, Government of India”. She along with her research group while focusing on basic physics, is also exploring application oriented and technology driven basic research in Material Sciences as well as Nano-Science and Technology. She works an as activity leader in establishing an application inspired innovation and technology related work which has good impact in the society; health care and food care sector and environment protection through innovative materials design. Her group works with a good number of Ph. D students, post doctoral fellow and young scientists. She and her group have filed number of patents their innovations and publish good number of papers in reputed international journals. Dr. Ghosh’s research interests are Experimental Condensed matter Physics, Nanoscience and Nanotechnology. Physics of transition metal oxides: Mainly perovskite oxides, binary oxides, Low temperature physics. Dr. Ghosh is working in the broad area of Condensed Matter physics and Materials Sciences which includes the growth of bulk materials, thin films and nano materials. Crystallographic and magnetic structural study using synchrotron radiation and neutron scattering experiments of bulk functional oxide based materials. Transport measurement on the nano device made of single nanowires to understand the conduction mechanism. Growth of epitaxial thin film and multi-layers and study of microstructure of surface and interface of multi layers by cross sectional TEM. Fabrication of nano scale materials using bottom up and top down approach, fabrication of nano devices using various lithographic techniques like; photo, electron beam, ion beam lithography. Using the lithographic based techniques, making of devices for applications oriented innovative work for healthcare, food care and environmental protection sectors. He is currently the head of the Chemical and Materials Engineering Department, King Abdulaziz University- Rabigh (KAU-Rabigh). He holds a Ph.D. in Chemical Engineering from Cairo University. A part of his Ph.D. and postdoctoral study were carried out at TU-Clausthal, Germany. He received his master degree in Environmental Engineering from TU-Hamburg Harburg, Germany, He received Bachelor degree in Chemical Engineering from H.T.I., 10th of Ramadan City.He is also the head of the students’ Industrial Training Unit at KAU - Rabigh. He is a member of the Editorial Board of International Institute of Chemical, Biological and Environmental Engineering. He has experience in the area of polymer composites and applications, with emphasis on nanocomposites, biocomposites, using recyclable materials in favor of environmental sustainability and water treatment. He is the author of more than 50 articles published in international journals and conferences. He is the co-author of three books in the area of polymers and petroleum engineering: (i) Biofiber reinforcement in composite materials (ii) Petroleum Economics and Engineering (iii) Hybrid Polymer Composite Materials: Processing. He serves as a reviewer for the following international journals: Journal of applied polymers Science; Journal of composite materials; Polymer Engineering & Science; Journal Yanbu; International Journal of Eng. & Sciences; Cellulose; International Journal of Hydrogen energy; Environment Progress & Sustainable Energy; Science and Engineering of Composite Materials; Plastics & Rubber and Composites Macromolecular Engineering; Composites Part B:Engineering. Dr. Hao GONG is a Full Professor of Materials Science and Engineering at National University of Singapore. He is also the coordinator of the transmission electron microscopy laboratory at Department of Materials Science and Engineering. His research interests include transparent oxide conductors and semiconductors (n-type and p-type), energy storage materials and devices (mainly supercapacitors), energy harvest materials and devices (mainly solar cells), gas sensors, functional thin film and nano-materials, materials characterization (mainly on transmission electron microscopy and electron diffraction). Dr. Gong received his B.S. degree in Physics at Yunnan University in 1982. He passed his M.S. courses in Yunnan University, carried out his M.S. thesis research work at Glasgow University, UK, and received M.S. degree of Electron and Ion Physics at Yunnan University in 1987. He then did his PhD at Materials Laboratory at Delft University of Technology, the Netherlands, and obtained PhD degree there in 1992. He joined National University of Singapore in 1992, and is currently full professor at Department of Materials Science and Engineering. He has published about 200 refereed papers in major international journals. Prof. Leszek Adam Dobrzanski is a Full-time Professor of Materials Engineering, Manufacturing Engineering , Nanotechnology, Medical and Dental Engineering in the Silesian University of Technology in Gliwice, Poland and a Supervisory Board Chairman, Project Manager and Principal Investigator in the Medical and Dental Engineering Centre for Research, Design and Production ASKLEPIOS Ltd in Gliwice, Poland. He is a Doctor Honoris Causa of the Universities in Bulgaria, Hungary and Ukraine. He is a Fellow of the Materials Science Committee of the Polish Academy of Sciences PAS and the President of the Metallic Materials Section of this Committee. He is a Vice President and a Fellow of the Academy of Engineers in Poland. He is a foreign Fellow of the Ukrainian Academy of Engineering Sciences and the Slovak Academy of Engineering Sciences. He is the President of the World Academy of Materials and Manufacturing Engineering, and a President of the International Association of Computational Materials Science and Surface Engineering. He is the Editor-in-Chief of the Journal of Achievements in Materials and Manufacturing Engineering, Archives of Materials Science and Engineering and Open Access Library. Haruo Sugi has completed his Ph.D. at the age of 28 years from the University of Tokyo. He worked in Columbia University and the National institutes of Health from 1965 to 1967. He was Professor in Physiology in Teikyo University from 1973 to 2004, when he became Emeritus Professor. Dr Francisco R. García-García is a Lecturer in Chemical Reaction Engineering at the School of Engineering at University of Edinburgh. He holds an MSc in Chemistry by the Autónoma University of Madrid and a PhD in Chemical Engineering by the Institute of Catalysis and Petroleum-chemistry, CSIC. He gained his first post-doctoral experience working at the Department of Chemical Engineering of Imperial College London. In this period, he focused in the design and development of catalytic multifunctional reactors for hydrogen production. Afterwards, he worked as a Senior Scientist at Johnson Matthey in the Emissions Control Department. Despite having a very rewarding experience working in industry, he soon realized that he preferred to be involved in more fundamental science and he moved back to the academia. Hence, he joined the UK Catalysis Hub as a research fellow working at the Chemical Engineering Department at Cambridge University, and at the Chemical Engineering Department at Newcastle University. During this time his research focused in chemical looping reforming for syngas and hydrogen production. Harry Ruda is Director of the Centre for Advanced Nanotechnology, the Stanley Meek Chair in Nanotechnology, and Professor of Applied Science and Engineering at the University of Toronto. The Centre is Canada’s first nanotechnology centre. From 1984 to 1989 he was a senior scientist at 3M Corporation, developing some of the first models for electronic transport and optical properties of wide bandgap II-VI semiconductors, while being a key member of the blue laser team. From 1982 to 1984 he developed one of the first theories for electron transport in selectively doped two dimensional electron gas heterostructures while working as an IBM postdoctoral fellow. From 1979 to 1982 he worked on optical and transport properties of II-VI based infrared detector materials and obtained his PhD from MIT in 1982. Professor Ruda has published over 250 publications in international refereed journals (with over 2,700 SCI citations), has co-authored 4 books and has 14 patents. Professor Ruda’s research interests focus on the fabrication and modeling of quantum functional nanostructures with applications in the fields of nanoelectronics and nanophotonics. Some notable contributions include one of the first theories of carrier transport in selectively doped quantum heterostructures, theories for the non-linear optical response of asymmetric quantum heterostructures, models for the dynamics of quantum neural networks, as well as reports on the preparation of self-assembled quantum heterostructures by molecular beam epitaxy and using ion beam processing for photonic crystal device development. In addition, his contributions include the development of novel characterization techniques for semiconductor and dielectric nanostructures (photonic crystals) based on pump and probe surface photovoltage measurements. Harry Ruda is one of the founders of a Canadian National Centre of Excellence in Photonics. He serves on the National Science and Engineering Council of Canada and on other government panels including those of the DOE, EPA and NSF in the US, and the RAE and EPSRC in the UK. He also serves on the editorial boards of: Journal of Applied Physics, Applied Physics Letters, Journal of Nanoscience and Nanotechnology, Journal of Materials Science: Materials in Electronics, and the Nanotechnology Research Letters. He is a Fellow of the Royal Society of Canada, Fellow of Institute of Physics and Fellow of the Institute of Nanotechnology. David Cardwell is Head of Department and Professor of Superconducting Engineering at the University of Cambridge. He completed his PhD at the age of 26 years at Warwick University in the U.K. and was employed subsequently for 6 years by Plessey Reserach Limited. He was elected to a Fellowship of the Royal Academy of Engineering in 2012. He has published more than 350 papers in reputed journals and serve sas an editorial board member on a number of international journals, including Superconductor Science and Technology. Professor Elias Siores is the Provost and Director of Research and Innovation, Bolton University. Educated in the UK (BSc, MSC, MBA, PhD) and pursued his academic career in Australia (Sydney, Brisbane and Melbourne) and Asia (Hong Kong, Dong Guan) before returning to Europe (UK) as a Marie Curie Fellow. His R&D work concentrated on advancing the science and technology in the field of automated Non-Destructive Testing and Evaluation including Ultrasound, Acoustic Emission, and Microwave Thermography. His recent R&D work focuses on Smart / Functional Materials and Systems development. In this area, he has developed Electromagnetic, Electrorheological, Photovoltaic and Piezoelectric Smart Materials based Energy Conversion Systems for Renewable Energy, Medical, Health Care and Wearable Devices. He has published over 300 publications including 8 Patents . He has been a member of editorial boards of international journals and a Fellow of IOM, TWI, IEAust, SAE and WTIA. He has served on Board of Directors of a number of research centres worldwide including UK, Australia, Singapore and Hong Kong, all associated with the Bio-Nano-Materials field. He has received 15 awards in his career for R&D achievements. Electromagnetic, Electrorheological, Photovoltaic and Piezoelectric Smart Materials based Energy Conversion Systems for Renewable Energy, Medical, Health Care and Wearable Devices. Dr. Fan-Gang (kevin) Tseng received his Ph.D. degree from mechanical engineering, UCLA, USA, in 1998. He is currently a distinguished professor with ESS Dept., Dean of Nuclear Science, and the Deputy Director of the Biomedical Technology Research Center at NTHU, Taiwan. He was elected an ASME fellow in 2014. His research interests are in the fields of BioNEMS, Micro/Nano-Fluidics, and Fuel Cells. He received 60 patents, wrote 8 book chapters, published more than SCI 210 Journal papers and 360 conference technical papers. He received several awards, including National Innovation Award twice, Outstanding in research award twice and Mr. Wu, Da-Yo Memorial Award from MOST, Taiwan, and more than 20 best paper and other awards. My research areas are in electronic, functional, and sustainable energy materials thin films, nanostructures, heterostructures and devices. Considerable efforts have been made in the design, fabrication and study of electronics and functional thin films and structures. PVD, CVD and chemical solution techniques are used for thin film deposition and nanostructure fabrication. Transmission electron microscopy (TEM), electron diffraction and several other material characterisation methods are also of interest to my research group. Dr. Speranta Tanasescu is Head of the Laboratory of Chemical Thermodynamics in the Institute of Physical Chemistry “Ilie Murgulescu” of the Romanian Academy, Bucharest. She received his Ph.D. in Physical Chemistry - Romanian Academy, 1979 and is the first one in Romania to have developed the solid state electrochemical methods for high temperature thermodynamic studies. She is Senior Researcher I and Ph.D.Supervisor. The main fields of specialization are Physical Chemistry, Chemical Thermodynamics having also more than 40 years’ experience working in the fields of Solid State Electrochemistry; Ceramic Materials with special electrical and magnetic properties; SOFC; Thermochemistry of biological interest compounds. She won the “Gh.Spacu” Award of the Romanian Academy in 1972. Dr. Tanasescu has published more than 100 original papers in ISI and Academic Journals, chapters in books, has presented more than 90 communications to scientific meetings, and holds two national patents. The original thermodynamic data were included in International Thermodynamic Data Bases, in the Gmelin Handbuch der Anorganischen Chemie, in the network of “Center for Rare Earth and Magnetics/Rare-earth Information Center” (CREM/RIC), in “Bibliography on Thermodynamic Properties of Materials at High Temperatures”, “Rare-Earths” Japanese Journal etc., and were cited in scientific papers and PhD Theses. Dr. Tanasescu is Membership of the Associated Phase Diagram and Thermodynamics Committee (APDIC), Member of the European Platform of NANOMEDICINE, Membership of the Romanian Chemical Society as part of the Romanian Academy. She has also experience in evaluation, as well as in the implementation / management of national and international projects. Kimihisa Yamamoto received BS, MS, and PhD degrees from Waseda University in Polymer Chemistry in 1985, 1987, and 1990, respectively. He was a Research Associate and Assistant Professor of Waseda University from 1989 to 1991, and from 1992 to 1993, respectively. He was Associate Professor of Waseda University from 1993 to 1996. He has been on the faculties of Keio University (1997-2010). His current position is Professor of Chemical Resources Laboratory, Tokyo Institute of Technology. He has received the Award for the Young Chemist from Chemical Society of Japan in 1996, and the JSPS Wiley Award in 2005 from the Society of Polymer Science, Japan. He promoted research projects as a researcher of Japan Research Development Corporation For PRESTO project from 1992 to 1994; he was a project leader in Kanagawa Academy of Science and Technologies (KAST) from 2002 to 2004, and a leader for the CREST project in Japan Science and Technology Agency (JST) from 2003 to 2007. He is engaged in developing supra-metallomolecules. He is a member of the Japan Chemical Society. Dr. Fenniri received all his degrees from the Université de Strasbourg, France. After postdoctoral training at the Scripps Research Institute, he moved to Purdue University, where he initiated his independent academic career, and established the Purdue Laboratory for Chemical Nanotechnology (1999). In 2003, He joined the National Research Council and the University of Alberta (Edmonton, AB, Canada) as Professor of Chemistry (2003-2013). Dr. Fenniri is currently Professor of Chemical and Biomedical Engineering at Northeastern University, Boston, MA, USA. Dr. Fenniri’s contributions appeared in over 220 publications, 20 patents and patent applications, and over 450 contributed national and international conference papers. Dr. Fenniri has also lectured extensively around the globe and he has been an invited professor at several institutes and universities. Jeong-Woo Choi received his Ph. D. in 1990 at Rutgers University, USA and D.Eng. at Tokyo Institute of Technology, Japan in 2003. He worked at IBM Almaden Research Center and Mitsubishi Electronics Advanced Technology R&D Center as a visiting researcher in 1993 and 1996, respectively. He has been a professor of Department of Chemical & Biomolecular Engineering, Sogang University, South Korea, for over 25 years. He is a leading researcher in the field of nanobiomaterials and nanobioelectronics. He has published over 370 peer-reviewed papers in Science, Adv. Mater., ACS Nano, Angewandte Chemie, Adv. Funct. Mater., and etc..
Dr. Manjunatha Pattabi obtained his MSc from Mangalore University in 1983 and PhD from Indian Institute of Technology, Madras in 1988. He joined the Materials Science Department of Mangalore University in 1988 and is a Professor since 2003. In addition to being a serious teacher and researcher, he steered the Department of Materials Science as Chairman for nine years since taking the position in 2003. He has published about 100 papers in peer reviewed journals and proceedings. He has delivered more than 75 lectures at various platforms. He has also contributed to the growth of the University in various capacities. Prof. Pattabi was awarded Sir C V Raman State Award for Young Scientists in Physical Sciences for 2002 by the Karnataka State Council for Science and Technology. He was honored with MRSI Medal by the Materials Research Society of India in 2014. He is an Associate Professor at the department of Surgery at the New Jersey Medical School in the Rutgers University. He is also a member of the Center for Immunity and Inflammation. Dr Ulloa has made significant contributions to science. Dr Ulloa was among the original investigators describing the Smad in the TGF signaling and their crosstalk with other immune signals such as the Interferon. This mechanism is now proposed to be critical in embryogenesis, oncogenesis and inflammatory bowel disorders. Dr Ulloa was among the original investigators describing the anti-inflammatory potential of the vagus nerve, and its potential to control systemic inflammation in experimental trauma and sepsis. Dr Ulloa gor his first NIH grant as a pioner studying the immunological role of classical neurotransmitter and their signalling pathway controlling immune cells. Dr Ulloa published over 70 peer-review international articles in the most prestiguous journals with over 13,000 total citations. Dr Ulloa has received numerous scientific awards such as the International Human Frontier Fellowship, the Rutgers University ‘Excellence in Research’ Award and the National Scientist Development Award of the American Heart Association. He is invited to write editorials and review articles in journals like Nature Reviews and Trends in Mol Med. His studies are funded by department of Defense, American Heart Association, and the NIH. Dr. Xiang Zhang, Royal Society Industry Fellow of University of Cambridge, has over 33 years combined academia (17 years) and industrial (16 years) experience in advanced materials science and technology, an expert in polymer and polymeric hybrid materials science and technology. Dr Zhang is also Head of the Lucideon Cambridge School of Advanced Materials and Head of Medical Materials and Devices. He is the author of three books “Inorganic Biomaterials”, “Inorganic Controlled Release Technology” and “Science and Principles of Biodegradable and Bioresorbable Medical Polymers - Materials and Properties” (to be published by Elsevier). As a materials scientist, he is passionate on “Science for Industry “and believes fundamental but applied sciences are the keys to solve industrial problems as well as develop good products that are much-needed by the society. Dr. Zhang undertook his PhD and postdoctoral research at Cranfield University where he studied materials physics and micro-mechanics and micro-fracture mechanics of polymeric hybrid (organic and inorganic) materials. After spending a further four years on research for industrial applications, he was awarded an industrial fellowship at the University of Cambridge in 1995, where he carried out research on polymer ductile to brittle transition employing synchrotron X-ray (SAXS, WAXS) to study in situ deformation and fracture at nanometre scales, the results of which lead to completion of ductile to brittle transition theories in view of nano-mechanics and nano-fracture mechanics. Dr. Zhang’s industry experience was gained in leading international healthcare companies, where, as Principal Scientist, his work covered almost all aspects of medical materials and devices from R&D and manufacturing support to failure analysis and QC. Prior to joining Lucideon, Xiang worked as Director of a technology company, in the field of nano-conductive materials and diagnostic medical devices. Piedad N de Aza studied Chemistry at the Autonoma University of Madrid and Ceramic at the Santiago de Compostela University where she received her doctoral degree. She did a postdoctoral stage at the IRC in Biomaterials at the Queen Mary & Wetsfield College, University of London (U.K.) working on in vitro and in vivo behavior of bioceramics. At this moment, she is the Head of the Materials Science, Optic and Electronic Technology Department, Professor of Materials Science and Metallurgical Engineering and Researcher in the Bioengineering Institute at the Miguel Hernandez de Elche University. Dr. Elena Cerro-Prada received her PhD in Physics from the Autónoma University of Madrid. She lectured at the University of Birmingham, UK, and worked at CERN within the Nobel Laureate Carlo Rubia, among other research and academic positions. Dr Cerro-Prada currently serves as the Subdirector of Civil Engineering Department: Construction, Infrastructures and Transportation. at the Technical University of Madrid. Dr. Cerro-Prada has contributed greatly to the understanding of cementitious materials microstructure by applications of nanotechnology and nanomaterials. She is currently involved in the development of cement-based materials with photocatalytic properties as long as agent-based cementitious material modeling. Prof. Dr. rer. nat. habil. Detlef Bahnemann (PhD in Chemistry TU Berlin 1981, Habilitation in Technical Chemistry Leibniz University Hannover 2012) is currently Head of the Research Unit „Photocatalysis and Nanotechnology“ at the Institute of Technical Chemistry of the Leibniz University Hannover in Germany and also Director of the Research Institute Nanocomposite Materials for Photonic Applications at Saint Petersburg State University. His main research topics include photocatalysis, photoelectrochemistry, solar chemistry and photochemistry focussed on synthesis and physical-chemical properties of semiconductor and metal nanoparticles. His more than 300 publications have been cited more than 26,000 times (h-index: 63 according to ISI). Prof. Yuyuan Zhao obtained his BEng and MSc degrees from Dalian University of Technology, and PhD degree from Oxford University. He is currently the Head of Centre for Materials and Structures of the School of Engineering, the University of Liverpool. His current research is focused on the manufacture, characterisation and applications of porous metals and metal matrix syntactic foams. Prof. Zhao was awarded the Ivor Jenkins Medal in 2015 for his contribution to powder metallurgy in developing and commercialising innovative powder based technologies for manufacturing metal foams. Dmitry Volodkin is Associate Professor at Nottingham Trent University and heads the group “Active-Bio-Coatings”. He has studied Chemistry at the Lomonosov Moscow State University in Russia. Research stays brought him to France (University of Strasbourg) and Germany (Max-Planck Institute of Colloids and Interfaces, Technical University of Berlin, Fraunhofer Institute for Cell Therapy and Immunology). His research activities are focused on design of advanced stimuli-responsive biomaterials for applications in tissue engineering, diagnostics, toxicology, drug delivery. His group engineer self-assembled polymer-based 2D and 3D structures with tailor-made properties: multilayer films, microcapsules and beads, liposome-polymer composites, polymeric scaffolds, etc. Dmitry Volodkin has published more than 70 peer-reviewed articles/books and received a number of prestigious scientific awards such as Sofja Kovalevskaja Award of Alexander von Humboldt Foundation, Richard-Zsigmondy Price of German Colloid Society, Alexander von Humboldt Fellowship, Marie Skłodowska-Curie Fellowship. Jiabao Yi has completed his PhD at the age of 38 years from National University of Singapore and postdoctoral studies from National University of Singapore, department of Materials Science and Engineering. He is a Senior Lecturer/Future fellow in the school of Materials Science and Enginer, UNSW. He has published more than 110 papers in reputed journals and has been serving as assocated editors of two journals and editorial board member of four other journals. Oxide magnetic semiconductor, magnetic materials for green energy, magnetic nanoparticles for bioimaging and ferromagnetism in 2D materials. Dr. Fenniri has achieved international recognition as a leader in the areas of self-assembly, supramolecular chemistry, nanomedicine, and materials sciences. His group works at the forefront of basic and applied nanosciences, in collaboration with various academic institutions, federal laboratories, and with the private sector. Dr. Fenniri’s contributions appeared in over 220 publications, 20 patents and patent applications, and over 450 contributed national and international conference papers. Dr. Fenniri has also presented his work in over 170 invited distinguished lectures, colloquia and seminars around the globe. Dr. Fenniri is the recipient of several academic and professional honours and awards and serves on several national and international scientific boards, panels, and committees. Mirosław Kwiatkowski in 2004 obtained Ph.D. degree at the Faculty of Fuels and Energy, AGH University of Science and Technology in Krakow, in the discipline: technology of chemistry. Currently he is working an assistant professor at the AGH University of Science and Technology, at the Faculty of Energy and Fuels. Main field of his interests is chemical technology, chemistry and physical chemistry, nanotechnology, material science and engineering, mathematical modelling of the adsorption process, description of the porous structure, practical aspects of adsorption, an analysis of the influence of the production method on the formation of the porous structure of carbonaceous adsorbents, numerical analysis, computer science, energy efficiency, renewable energies, electrical energy markets and problems connected with waste management as well as economics and management. His published work includes more than 40 papers in international journals and 72 conference proceedings. He is a member of the editorial board of internationals journals as well as a member of the Organizing Committee international conferences, and a regular reviewer in a reputable scientific scientific journals. Apart from scientific work Mirosław Kwiatkowski also does some teaching. Runs classes on computer science, numerical methods, chemistry and is a tutor of a student scientific society called “Green Energy”. He is Dean and Principal, School of Technology, GITAM University and has been a member of Board of Management and Academic Council since 2009. He is a certified Corporate Director of World Council for Corporate Governance, UK and visited most of the South Asian Countries for Research and presenting papers in various International Conferences. He has more than 24 years of experience in Industry, Research & Teaching and had worked four years as a Associate Professor of Manufacturing Engineering and Management at Government Universities in Malaysia and Singapore. He was a key note speaker for more than 40 international and national conferences and a member of advisory and technical committee for more than 60 international conferences and had successfully organized 65 international and national conferences / workshops. He is member, Editorial Board and Reviewer for more than 20 international journals and evaluated 16 doctorial theses in mechanical / manufacturing / management / information technology of various universities and he is currently guiding 5 research scholars for their doctoral work. He has to his credit 4 books published by reputed publishers and authored more than 60 research papers and published in peer reviewed and indexed journals and conference proceedings. He is a Member of Academic council / Board of Studies / Research & Development Cell / Recruitment and Selection/purchasing/curriculum Design/ university inspections for various International / State / Deemed Universities since 2001.He is in recipient of many International and National award such as Academic Excellence, Research Excellence , Best Engineer, Best Principal award, Best Academic Administrator, Education leadership and Engineers Educator award. Professor Brian Yuliarto is serving as an associate Professor at Faculty of Industrial Technology, Engineering Physics Department, Institut Teknologi Bandung (ITB), Indonesia. After graduation of Bachelor at Engineering PhD program at Department of Quantum Engineering and Systems Science, The University of Tokyo Japan. He also spends several times as a postdoctoral fellow on National Institute of Advanced Industrial Science and Technology (AIST), Tsukuba Japan. He focused the research on the synthesis and fabrications of nano structure oxide and their applications on energy and environments. He has developed some nanostructure thin films of ZnO, ZnO-CNT, SnO2, SiO2, TiO2 for applications in gas sensors devices. For energy purposes, the natural dyes as well as TiO2nanoporous has been investigated to improve the light harvesting efficiency of the Dyes Synthesis Solar Cells. He published several papers on Analytical Chemistry, ACS Journal, Advanced Energy Materials, IEEE Sensors, Sensors and Actuators B: Chemicals and other reputation journals. He has presented his research papers in many international conferences at France, Japan, China, Austria, Dubai, Singapore, Korea, Germany and others. Now he is developing the Research Center of Nanosciences and Nanotechnology in Indonesia. His research activity has been mainly focused on the development of innovative chemical and biotechnological processes for the recovery of high value-added compounds from by-products and agro-industrial residues, such as lycopene from tomato waste and phenolic antioxidants from artichoke and bilberries waste, olive pomace and coffee grounds. He also examined the possibility of including the extracts obtained in consumer food products to get new functional foods with high antioxidant activity.In the field of enzyme technology, he studied the use of multienzyme systems with enhanced activity for the recovery of lipids and bioactive compounds with high added value from microalgae.He is the author of over 60 scientific publications and several industrial patents, ranging from the biochemical extraction of valuable compounds to the fibers recovery for material applications. Dr.Alessandra Vitale received her M.Sc. degree in Material Engineering from Politecnico di Torino, Italy, and in Polymers for Advanced Technologies from Université Joseph Fourier in Grenoble, France, in 2010. She obtained her Ph.D. from Politecnico di Torino, Italy, under the supervision of Prof. Roberta Bongiovanni. In her laboratory, Alessandra investigated innovative polymers and technologies for the fabrication of microfluidic devices.She has won the AICIng (Italian Association Chemistry for Engineering) Best Ph.D. Thesis Award. In 2014 she was engaged as research associate in the group of Dr. João Cabral at Imperial College London, United Kingdom. In 2016 Dr. Vitale joined Politecnico di Torino, Italy, where she currently works as assistant professor with time contract. She has authored more than 25 research publications in peer-reviewed journals and several international conference proceedings. She is a member of the American Chemical Society. Her research interests include photopolymerization processes and methods for micro- and nano-patterning. 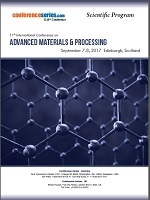 Photopolymerization processes;methods for micro- and nano-patterning; electrospinning; fluoropolymers and polymers surface science. Guided self-assembly of block copolymer systems, hierarchical (bio)nanoparticle assemblies and the control of self-assembly processes via external fields. Lars Montelius defended his thesis in 1987 at Lund University and during 1988-89 he spent a Post-doc year at IBM, Yorktown Heights working with Scanning Probe Microscopy. In 1989 he was appointed as Head of the Nanometer Laboratory at Lund University. His 25+ years of work in nanotechnology has centered around scanning probe microscopy & spectroscopy & luminescence & imaging & manipulation of low-D structures, electron & ion beam and nanoimprint lithography & processing applied to single electron tunneling, quantized conductance and various bio and NEMS-devices. Lars Montelius H-index is 32 and he has given more than 70 personally invited talks, filed 22 patent applications and published more than 170 publications giving rise to 3.639 citations, with ≈250 citations per year over last 5 years. (Data from ISI Web of Knowledge 2014-03-29). Currently he is the President Elect for IUVSTA: The International Union for Vacuum Science, Technique and Applications iuvsta-us.org/ and he is Working Group Chair of the two European Technology Platforms NANOFutures: The European initiative for sustainable development by Nanotechnologies www.nanofutures.eu and EuMat: The European Technology Platform for Advanced Engineering Materials and Technologies: eumat.eu. Dr. Ivoyl P. Koutsaroff is a Senior Member of Technical Staff working on new metal alloyed electrodes and doped oxide materials targeting improvement of acoustic wave filters’ performances, Technology R&D, Qorvo Inc., Apopka, Florida, USA. Prior to joining Qorvo, since 2005, for a decade, he was working as Principle Research Engineer at New Technology Center, Murata Manufacturing Co., Ltd., Kyoto, Japan, responsible for ferroelectric thin film research, new functional oxide and electrode materials development, process integration and performance improvement of various rf-front-end devices (e.g., BST varactors and piezo-MEMS). He was core member of a national join collaborative project supported by the Japan Society for the Promotion of Science (JSPS) for development of tunable SAW filters combined with BST varactors monolithically integrated on the same chip. Since 1994, he had held several research and engineering positions at the Centre for Advanced Nanotechnology (ECAN), University of Toronto, Canada; Advanced Power Electronics Research Center at the AIST, Tsukuba, Japan; The GAO Materials Chemistry Research Group, University of Toronto; E&G Optoelectronics (Perkin-Elmer Optoelectronics), Montreal, Quebec and ComDev International Ltd., Cambridge, Ontario, Canada. From 1999 to 2005 he has been engaged in manufacturing and development activities at Gennum Corporation (acquired by Semtech and ON Semiconductor) in Burlington, Ontario, Canada, where he was a Senior Technology Development Engineer, involved with development of low dielectric loss high density ferroelectric thin film decoupling and tunable capacitor devices used in RF-front-end communication modules and hearing aids applications. Being a manufacturing engineer from 1998 to 2001, he was actively involved in Statistical Process Control (SPC) and continuous process improvement activities for Plasma Enhanced Chemical Vapor Deposition (PECVD), Reactive Ion etching (RIE), RF sputtering, and Rapid Thermal Annealing (RTA) steps in different semiconductor class thin film devices production lines. His quality control optimization and monitoring methodology led to significant improvement of overall yield and robustness of the above processing steps used for the microdevice fabrication. He was a licensed Professional Engineer (P.Eng) in Ontario, Canada. He has authored more than 80 publications in the fields of III-V semiconductors deep levels, optical characterization of GaAs, AlGaAs, InP, GaN; dielectric and microwave properties of BST thin films, novel oxynitride perovskite dielectric thin film materials through combinatorial compositional and stoichiometric ratio libraries, and novel high density thin film capacitor device concept. In 2010 he received Murata Manufacturing’s Vice-President Special Technology Development and Innovation Award for the first industrial scalable fabrication of oxynitride perovskite dielectric thin films with enhanced performances. He has co-organized The Ferroelectric Thin Film Symposium as part of the MRS symposia (2003) and he chaired various international conferences, workshops and symposia. Dr. Koutsaroff founded and organized the First International Symposium on “Advances and Enhanced Functionalities of Anion-controlled New Inorganic Materials (ANIM1)”, as part of E-MRS 2013 Spring Meeting which was held in Strasbourg, France, May 27-31, 2013. He was the lead Guest-Editor of the Special Issue on ANIM materials of the ACS Journal of Crystal Growth & Design (2013-2014). He was also founder and organizer of Kyoto Innovation Forum (KIF) seminars for the corporate executives and academia within Japan with lecturers invited from prestigious researcher organizations and private firms within Japan. Dr. Koutsaroff has given invited lectures at ISIF Symposia, MRS Symposia, FMA, ISAF, Ceramics Society of Japan, ICC3, ISSP, WCAM-2013, WCSM-2015, E-MRS 2015, etc. 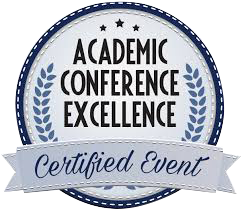 conferences as well various industrial R&C Centers in Japan, USA, Canada, Germany, France and Switzerland, co-edited proceedings in the ferroelectric thin films field, and he holds more than 40 patents. He is a member of the IEEE, the Materials Research Society (MRS), the American Chemical Society (ACS), ASM International and the Electrochemical Society (ECS). He also an Editorial Board Member of AU Journal of Technology, Assumption University, Thailand. Regular referee for JAP, APL and APL Materials, American Physical Society publications. He received his M.Sc. degree in Applied Physics from Sofia University in 1986, and his Ph.D. degree in Semiconductor Material Physics from Sun-Yat Sen University and Institute of Semiconductors, Chinese Academy of Sciences in 1933. Degree in Nuclear Engineering and PhD in Physics of Matter. Presently he is Professor of Physics of Matter at Polytechnic of Turin. Since 2004 he is Coordinator “LAboratorio di Tecnologie Elettrobiochimiche Miniaturizzate per l'Analisi e la Ricerca (LATEMAR)”, for the realization at the Polytechnic of Turin of a National Center of Excellence for micro- and nanotechnologies applied to genomics, proteomics and biotechnologies. His research activity is reported in more than 200 articles published in international journals. From March 2011 he joined to Istituto Italiano di Tecnologia. Pr. M.P Pileni is a Distinguished Professor at University P&M Curie, UPMC and Senior Researcher in Nuclear and Environmental Center, CEA, France. She is a member (1999- at present) and chair (2004-2010) of Institut Universitaire de France, IUF, which favors the development of high quality research and interdisciplinary projects among French universities. She has published more 450 articles with 18, 975 citations, 52. 27 average citations per item and h factor of 71. Over her carreer, she received the Langmuir award of the American Chemical Society, the lecture award of the Japanese Chemical Society, the research award of the Alexander von Humboldt Foundation in Germany, the Descartes-Huygens prize of the Royal Netherlands Academy of Arts, Science and Emila Valori prize from the French Academy of Sciences, Catalán-Sabatier Lectureship award from the Royal Society of Chemistry of Spain, Life Achievement award from Journal Colloid Interface Science and Chalmers Lecture award, Prix Pierre Sue from the French Chemical Society. In addition, she received the French citation award laureate from the Institute of Scientific Information for most quoted French scientist between 1981 and 1998. She has developed strong collaboration with Georgia Tech in Atlanta, the Max-Planck Gesellschaft in Berlin, the University of Canberra, Australia and Chalmers University in Sweden. Prof. Pileni research has been highly interdisciplinary over her entire scientific career, starting from biophysics to solar energy and developing nanoreactors to reach nano structures. Thanks to a fundamental understanding of the kinetics and mechanisms in colloidal solutions. Frank Volke has completed his PhD at the age of 28 years from University of Leipzig and postdoctoral studies from Leipzig University (biomembranes, soft matter), Oxford University (Biochemistry). He is the director of NMR-MRI section at Fraunhofer Institute of Biomedical Engineering in St. Ingbert, a premier Bio-Soft service organization. He has published more than 100 papers in reputed journals and has been serving as an editorial board member for various scientific journals. Design and developing new polycrystalline biomaterials with controlled microstructures making use of appropriated phase equilibrium diagrams and to study, a part of their physical properties, their behavior in vitro (sterm cells) and in vivo (bioactivity in rats and dogs). Actually, main emphasis is putting on the tissue engineering field study of the tissue-ceramic implant interfaces by using SEM-EDX, TEM and HRTEM with EDS and micro-Raman spectroscopy. Professor Pankaj Vadgama has completed his medical degree at the age of 23, chemistry degree at the age of 27 and his PhD at the age of 33 at the University of Newcastle upon Tyne, UK. He has worked as a hospital Chemical Pathologist, and has variously been Professor of Clinical Biochemistry and Director of the Biomedical Materials IRC at Queen Mary University of London where he holds an appointment within the School of Engineering and Materials Science. He has published more than 200 publications in sensors and biosensors and is Editor in Chief of Bioelectrohmistry. Biomaterials surfaces, membrane technology, biosensors, microfluidics. Dr. Annamaria Cucinotta received the B.Sc. degree (Honors) in Physics from University of Parma, Italy, in 1995 and the Ph.D. degree in Information Technology from the University of Parma, in 1999. Since 2002 A. Cucinotta has been member of the Faculty in the Department of Information Engineering at University of Parma. She is in charge of the “Laboratory of Optical Components” at the same Department. The main research interests of A. Cucinotta include fiber lasers, photonic crystal fibers also called microstructured fiber, biosensors and numerical methods for electromagnetic field analysis. Her research bridges from optical sciences to material engineering. Cucinotta's work is published in over 60 archival journal publications and numerous conference presentations. A. Cucinotta co-authored the books "Photonic Crystal Fiber Properties and Applications” (Spinger, 2007). She is also author of the e-book chapter " Photonic Crystal Fiber: Theory and Fabrication", (Bentham Science Publishers, 2011). Since 2007 she is an independent expert for the European Commission. She is a member of the EU Photonics21 Work Group 7 (Research, Education and training), fellow of the Institute of Electrical and Electronics Engineers (IEEE), and of the Italian Society of Electromagnetism (SIEM). She is Associate Editor of IEEE Photonic Journal. She acts as a technical program committee member for many international conferences. Prof. Cucinotta teaches the Photonic and Photonic Devices courses at the undergraduate and graduate level in Telecommunication and Electronic Engineering, and Electromagnetic Field for the undergraduate level course in Prevention in Environment and Workplaces of the Medical School of the University of Parma. From 2007 to 2012 she was the Socrates Erasmus Programme Coordinator at the Department of Information Engineering. From January 2015 she is in charge of the Alumni Job Placement for her Department. In 1962, Haruo Sugi graduated from Postgraduate School in the University of Tokyo with the degree of Ph.D.He worked in Columbia Uiversity as a research associate, and in National Institutes of Health as a visiting scientist from 1965 to 1967. He was a Professor and Chairman in the Department of Physiology, Teikyo University Medical Scool from 1973 to 2004, when he became Emeritus Professor. Dr. Itai Pelled is a polymer specialist that was involved in biopolymers in both medical devices and more recently, food packaging. He is leading over the past two years the R&D Group in TIPA Corp, a start-up company in the bioplolymers and food packaging that focused on end-of-life solutions for flexible packaging. Prior to TIPA, Dr. Pelled was leading the polymeric material section (textile materials and components, coating and biomedical polymers) in the developing of Trans-catheter Heart Valve Program, in Edwards Lifesciences (Irvine, California); a global leader in the science of heart valves and hemodynamic monitoring. Dr. Pelled background includes undergraduate degree in Chemistry, a master degree in Biomedical Engineering and a Ph.D. in biodegradable polymers (applied chemistry) from Tel-Aviv University, Israel and Hebrew University in Jerusalem, Israel. He is also a co-inventor of ten patents. Dr. Dinesh Amalnerkar started his research career as Research Fellow at National Chemical Laboratory (NCL), Pune, India & received Ph.D. in Physical Chemistry from University of Pune in 1982. He subsequently worked with Elpro International, Pune as Scientist till 1985. From Jan.1986 to April 1987, he had taken up the Visiting Assignment at Gifu, University, Japan & returned to join the post of Pool Scientist at NCL, India. In 1991, he joined Centre for Materials for Electronics Technology(C-MET) as a Scientist. From March 2009-November 2014, he served as the Executive Director (CEO) of C-MET and looked after its 3 centers located at Pune, Hyderabad & Thrissur. While placed at C-MET, he revisited Gifu University, Japan, during September-December 1993 & August-November 2000 as an AIEJ Researcher and worked as a Brain-Pool Visiting Scientist at Korea Research Institute of Chemical Technology, Daejon, Korea during 2006-2007.Besides,he had taken up short-term visiting assignments at universities/institutes in Singapore, Switzerland, Slovenia, Bulgaria, Japan and Saudi Arabia. Recently, he has joined Sungkyunkwan University, Suwon, South Korea as Brain-Pool Invited Scientist. His research contributions include 200 papers in peer-reviewed international journals,12 awards for oral/poster presentations in various symposia,20 Indian Patents, 2 US Patents,1Book Chapter as well as 2 Technology Transfers. His current Scholar Google H index is 33. He is the Regional Editor of Current Smart Materials, Editorial Board Member of the Journal of Semiconductor Devices & Circuits, Recent Trends in Sensor Research & Technology. He is a Member of Academic Council, Board of Directors & Board of Studies of various State & National Universities across the India. He is also a council member of prominent professional bodies/societies. He is recipient of the Materials Research Society of India’s prestigious Medal Award for the year 2008 for his significant contributions in Materials Science and Engineering. Jinn P. Chu is a Distinguished Professor of Materials Science and Engineering at National Taiwan University of Science and Technology. He holds a Ph.D. from University of Illinois at Urbana-Champaign in 1992. He was appointed to the Dean of Office of Research and Development by the university in 2015. His research interests focus on sputter-deposited thin film metallic glasses (TFMGs) for various applications. He has over 160 articles in refereed journals, 22 patents, 3 review articles, 1 special issue in TFMG. He is an Editorial Board Member for the Elsevier journal Thin Solid Films. Dr. Habil. Simona Cavalu is Manager (director) of National and International Research Projects, reviewer for many International Journals. Invited professor (visiting) at Istanbul Technical University, Bezmialem Vakif University, University of Debrecen-Hungary, Meerut College India. She has won Daniel Bunea” Award of SRB for the most relevant contribution in the field of biomaterials, 2014; Excelence Award SRB 2015, Best Conference Chairperson EMN Biomaterials PHUKET 2016. Invited speaker at international conferences (10). She has published more than 100 papers in SCI journals and proceedings. Acrylic cements for orthopedic and dental applications, bioceramics (alumina/zirconia, alumino-silicate, hydroxyapatite), polymeric composites for controlled drug release, animal model (in vivo biocompatibility tests), in vitro tests (cells culture, cytotoxycity, proliferation), antioxidative agents, nanoparticles green synthesis. Dr. Meiyong Liao obtained his PhD in Materials Sciences in 2002 from the Institute of Semiconductors, Chinese Academicy of Science, China. he became a visiting assosiate professor of Kyoto University, Japan, from 2002-2004. After that he was a postdoctor researcher in National Institute for Materials Sciences (NIMS), Japan, from 2004-2008. Since 2008, Dr. Liao has been employed in NIMS as a Principle Researcher. He had also be a visiting researcher in CNRS, France (2007-2008), and Marie-Curie Fellow (2014-2015) in Aston Unvierstiy, United Kindom. He has published more than 140 papers in reputed journals and has been serving as an editorial board member of Scientific Reports and Journal of Nanomaterials. The research subjects of Dr. Liao are focused on the wide-bandgap semiconductors electronics devices, photoelectrical devices, and MEMS/NEMS. Dr Milica Marčeta Kaninski is Research Professor and Head of the Department of Physical Chemistry at VINČA Institute of Nuclear Science in Belgrade, Serbia. Dr Marčeta Kaninski received M.Sc. degree in 2005 and PhD in Physical Chemistry at University of Belgrade in 2009, with thesis Hydrogen Membrane Fuel Cells: Energy, Isotopic and Electrochemical Aspects. She has managed national and international scientific projects and published more than 30 papers in peer - reviewed journals. Dr Marčeta Kaninski is a member of Serbian Chemical Society and International Society of Electrochemistry ISE. She is also the reviewer in many journals, including Energy and Environmental Sciences, Electrochemistry Communications, International Journal of Hydrogen Energy and Journal of Applied Electrochemistry. The main research interests of Dr Milica Marčeta Kaninski are focused on enviromental protection, and include (i) Hydrogen production: alkaline water electrolysis and development of electrocatalytical materials and activators, (ii) Fuel cells: development of PEM and alkaline fuel cells and materials for their construction. Dr. Raja Rizwan Hussain received his Ph.D. and M.Sc. in 2006 and 2008 in Civil Engineering from the University of Tokyo, Japan which is ranked among Top 20 universities in the world. Dr. Hussain was ranked as outstanding student and was awarded the best research thesis, prize and medal from the University of Tokyo. He also completed his Ph.D. in a record short period of just two years. He is the editor of several ISI-indexed international journals. He has also served as guest editor for several international ISI-indexed journals. Moreover, he is one of the organizing chairs and member of technical committees for more than 3 dozen international conferences, symposiums and seminars. In addition, he is an active reviewer of many international ISI-indexed journals. Dr. Hussain has received more than 80 medals, awards, prizes and distinctions throughout his research, academic and professional career. Dr. Hussain has authored more than 165 research publications including ISI-indexed journal papers, international conference proceedings, edited books, editorials, expos, invention shows and exhibitions, technical reports etc. He is also an inventor of 6 US & WO international patents. He has secured about 20 national and international research grants worth millions of US Dollars. He is an active member of more than two dozen international societies, organizations, councils & committees. Steel reinforced concrete technology - materials & structures, especially corrosion. Sevil Dinçer İşoğlu received her PhD at 2006 in Bioengineering from Hacettepe University. She worked as visiting graduate student in University of Washington, Materials Science and Engineering during her PhD. Then, she worked as Asistant Professor in YTU Bioengineering beginning from 2006, and as research scholar in the University of Michigan between June 2014-May 2015. Dr. Dincer Isoglu has authored more than 25 research publications with about 900 citations and several international conference proceedings. She has been serving as an editorial board member in 3 journals. Her main research focused on biomaterials, polymers and drug delivery. Currently, she is working as Associate Professor and department head in Abdullah Gul University, Bioengineering. Dr Ivana Validžić (maiden Mladenović) has completed his PhD at the age of 29 years from the Van Hoff Laboratory of the Debye Institute for Nanomaterials Science of the Utrecht University. She is currently employed as a Research Professor in the Laboratory for the Atomic Physics, in the Vinča Institute of Nuclear Sciences, University in Belgrade. She has published more than 30 papers in reputed journals. Dr Validžić is a member of European Society for Quantum Solar Energy Conversion, and MC Member of COST Action "Stable Next-Generation Photovoltaics" MP1307 representing Serbia. Dr. Elena Cerro-Prada received her PhD in Physics from the Autónoma University of Madrid. She lectured at the University of Birmingham, UK, and worked at CERN within the Nobel Laureate Carlo Rubia, among other research and academic positions. Dr Cerro-Prada currently serves as Professor and Head of the Physics Department at the Technical University of Madrid. Dr. Cerro-Prada has contributed greatly to the understanding of cementitious materials microstructure by applications of nanotechnology and nanomaterials. She is currently involved in the development of cement-based materials with photocatalytic properties as long as agent-based cementitious material modeling. Clara M Gómez studied Chemistry at the University of Valencia where she received her doctoral degree in 1990. She did a postdoctoral stage at Cranfield Institute (UK) working on Curing monitoring of epoxy resins. At this moment, she is the chair of the Physical Chemistry Department, professor of Physical Chemistry and researcher of the Institute of Materials Science at the University of Valencia. The main areas of research are thermodynamics of polymer blends, cure monitoring of thermoset polymers, polyurethane thermoplastics, thermoelectricity, polymers for energy saving, biopolymers. My line of research is based on designed and developing new polycrystalline biomaterials with controlled microstructures making use of appropriated phase equilibrium diagrams and to study, a part of their physical properties, their behavior in vitro (sterm cells) and in vivo (bioactivity in rats and dogs). Actually, main emphasis is putting on the tissue engineering field study of the tissue-ceramic implant interfaces by using SEM-EDX, TEM and HRTEM with EDS and micro-Raman spectroscopy. Dr. Alejandro Várez is Professor in Materials Science and Engineering (MSE) at Carlos III University of Madrid. Currently he is the Head of Department of MSE. His main research is focused in the synthesis and processing of different materials such as critical high temperature super conductions, ionic conductors (of lithium, proton and oxygen) with applications in electrochemical devices such as lithium batteries, fuel batteries and electrochemical sensors. He is co-author of more than 100 reviewed scientific publications in journals gathered (or to be incorporated) in ISI Web-of-ScienceTM; with a total number of citations in ISI Web-of-ScienceTM of +1400. He is also author of invention two patents and has participated in several international conferences with more than 150 communications. Furthermore he has supervised 6 doctoral Thesis. He has carried out research at the Universities of California Santa Barbara (Postdoctoral research 1993), Aberdeen (UK) and Milan (Italy) (predoctoral) and recently at Sheffield (UK) and Metz (France) Universities. Prof. Ignacio Martin-Gullon received his PhD in Chemical Engineering from the University of Alicante in 1995, involved with adsorbent carbons. He worked thereafter as a Research Postdoc Associate in the University of Kentucky in the carbon fiber topic. In 1998, he moved to industry position as a R&D product development engineer in NORIT NV (now Cabot Corp), in Amersfoort (Netherlands). Finally, he came back to the University Alicante as a Professor in the Chemical Engineering Department. He has written over 70 scientific papers in high-impact journals, in nanotechnology, material science, environmental and energy engineering. He was de advisor of 8 PhD students. He did a recent sabbatical period in the Pennsylvania State University. He is project evaluator in different programs, related to material science and technology. Very recently, he co-founded the spin-off company Applynano Solutions, to develop customized solutions to specialized SME based on nanomaterials on polymers. Dr. Nekane Guarrotxena earned her PhD in chemistry from the University of Complutense, Madrid-Spain in 1994. She held post-doctoral research positions at the Ecole Nationale Superieure d´Arts et Metiers, Paris-France (1994-1995) and the University of ScienceII, Montpellier-France (1995-1997). She was the Vice-Director of the Institute of Polymer Science and Technology (ICTP)-CSIC (2001-2005). From 2008-2011, she was visiting professor in the Department of Chemistry, Biochemistry and Materials at University of California, Santa Barbara-USA and the CaSTL at University of California, Irvine-USA. She is currently Research Scientist at the Institute of Polymers Science and Technology, CSIC-Spain. She has been involved for several years on the dissemination of Science and Technology of Polymers-plastics (where she served as a member of Scientific Committee of Escuela de Plasticos y Caucho and FOCITEC or Association for the Promotion of Science and Technology). She is Editorial Board member of several journalsand organizing committee member of several scientific and technological events. Her studies have been published in more than 60 peer-reviewed publications, 4 books (also co-editor) and more than 21 book chapters. Her research interest focuses on the synthesis and assembly of hybrid nanomaterials, nanoplasmonics, and their uses in nanobiotechnology applications (bioimaging, drug delivery, therapy and biosensing). Nicola M. Pugno was born in 1972 in Pavia, Italy and is married and has three babies. He holds a Master’s degree in Mechanical Engineering and a Master’s degree in Theoretical Physics, as well as a Ph.D. in Fracture Mechanics and a Ph.D. in Biology. He is a Full Professor of Solid and Structural Mechanics at the University of Trento, Italy and there Founder and Head of the Laboratory of Bio-Inspired and Graphene Nanomechanics (previous Associate Professor, Founder and Head of the Laboratory of Bio-Inspired Nanomechanics “Giuseppe Maria Pugno”, at the Politecnico di Torino, Italy). He is the Scientific Responsible of Graphene Nanocomposites (within the Graphene Flagship) at the Fondazione Bruno Kessler, Trento, Italy and Full Professor of Materials Science at the Queen Mary University of London, London, UK. He has published about 260 International Journal (Int. J.) papers on Solid-, Structural-, Fracture-, Bio- and Nano-Mechanics in leading international journals (including Nature, Nature Materials and Nature Communications) mainly on nanotubes and graphene and bio-inspired nanomaterials (e.g. mimicking limpet teeth for strength, spider silk for toughness, gecko foot for smart adhesion, lotus leaf for self-cleaning, bone for self-healing, etc.). He is a Reviewer for about 100 Int. J. and is in the Editorial Board of about 40 Int. J., including Academic Editor of PlosOne and Scientific Reports (Nature Publishing Group) as well as Editor-in-Chief of Bio-Inspired Materials and Frontiers in Materials - Mechanics. NMP has received 4 grants from the European Research Council: the 2011 ERC Starting Grant (at the Consolidator level), in 2013 both the two ERC Proof of Concept assigned to Italy and in 2015 a third ERC Proof of Concept. In 1962, Haruo Sugi graduated from Postgraduate School in the University of Tokyo with the degree of Ph.D.He worked in Columbia Uiversity as a research associate, and in National Institutes of Health as a visiting scientist from 1965 to 1967. He was a Professor and Chairman in the Department of Physiology, Teikyo University Medical Scool from 1973 to 2004, when he bacame Emeritus Professor. Devki N. Talwar, Indiana University of Pennsylvania (IUP), Chair of Department of Physics, conducts research on optical/electronic properties of defects and phonons in semiconductor materials used for various electronic and opto-electronic devices. He has been with Indiana U of Pennsylvania (IUP), Department of Physics, for almost 27 years and is the author of more than 120 refereed journal articles, 3 book chapters and review articles. His expertise in the sophisticated Green’s function technique is considered very useful for providing information on the electronic and vibrational properties of defects in semiconductors, quantum wells and superlattices. Dr. Rao obtained his BSc in 1971 from Andhra Christian College, Guntur, at Andhra University and his MSc and PhD degrees in Applied Chemistry from the Faculty of Engineering at Jabalpur University, in 1974 and 1980, respectively. He worked at Indian School of Mines, Dhanbad; Government Engineering College, Rewa; Regional Research Laboratory, Bhubaneswar, before joining the Division of Mineral Processing of Luleå University of Technology in Sweden in 1985. Dr. Rao became Docent and Full Professor in Mineral Processing at the Luleå University of Technology in 1992 and 2003, respectively. He has authored more than 165 scientific papers published in various international peer-reviewed high-impact journals and conference proceedings. He is a visiting professor at i) Laboratorie Environnment et Mineralurgie, Nancy, France, ii) Department of Metallurgy, Indian Institute of Science, Bangalore, iii) Computational Solid State Chemistry, University of Bath, UK, iv) Department of Earth and Environmental Engineering, Columbia University, USA, and v) School of Materials and Mineral Resources Engineering, Universiti Sains Malaysia, Malaysia. He is a Member of SME/AIME and American Chemical Society, and the recipient of Arthur F. Taggart Award for the year 2000 from the SME/AIME, USA and the Distinguished Foreign Scientist Award in 2009 from the CSIR, India. Dr. Rao is also deputed to the European Commission, Directorate General-Research, Brussels, as Swedish National Expert and worked in the Unit of Industrial Technologies during 2001-2004. He is a member of the Editorial Boards of i) International Journal of Mineral Processing; ii) Mineral Processing & Extractive Metallurgy Review, and iii) Journal of Powder Metallurgy and Mining. He also serves as an Associate Editor of the journals Minerals and Open Chemistry Journal. He has been serving as the Editor-in-Chief of The Open Mineral Processing Journal since its inception in 2008. Dr. María Teresa Pérez Prior received her PhD in Chemistry from the University of Salamanca. She did a stage at the Fakultät für Chemie, Ruhr-Universität Bochum, Germany and a Postdoctoral stage at the Polytechnic School of Albacete, University of Castilla-La Mancha. 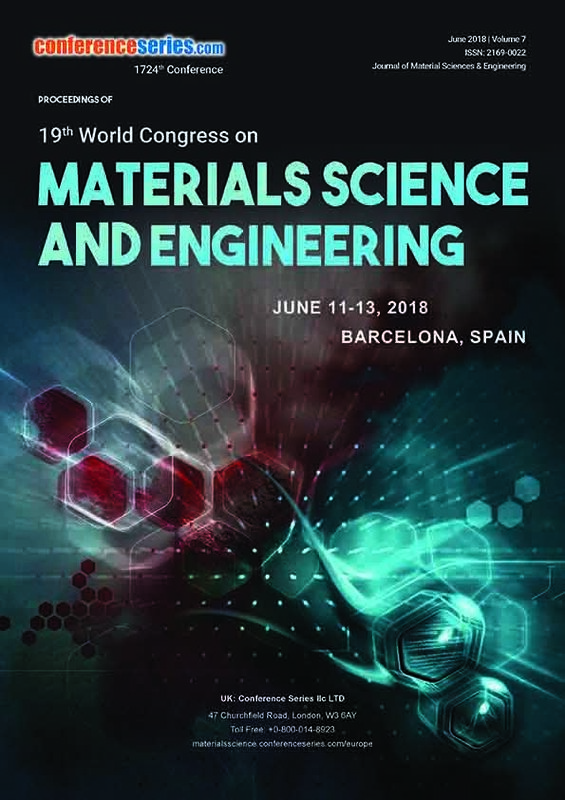 Dr. Pérez-Prior currently serves as Lecturer in the department of Materials Science and Engineering and Chemical Engineering at the University Carlos III of Madrid. In recent years, her main research is focused in the synthesis and characterization of polymeric materials for Energy applications. Oras A. Al-Ani received the B.Sc and M.Sc degrees in Laser and Optoelectronic Engineering from Al-Nahreen University, Iraq, in 2000 and 2002, respectively. Mrs Al-Ani was working as a Lecturer at the College of Electrical and Electronic Techniques Engineering, Baghdad, Iraq, since 2005. She is currently studying towards the Ph.D. degree within the Emerging Technologies and Material (ETM) group, School of Electrical and Electronics Engineering, Newcastle University, Newcastle Upon Tyne, U.K. Oras’ research focuses on computational and theoretical analysis of the point and extended defects in multicrystalline silicon and their impact on photovoltaic devices. She is a student member of IEEE, member of IET and Al-Kindi Society for Engineers; and awarded several awards for the best paper and presentation. Oras recently served as the Event Coordinator for the Annual Research Conference (ARC2016) at Newcastle University and she currently acts as the School Representative of research student’s in Newcastle University. In addition, she is recently appointed as a committee member of The International Conference on Applied Engineering, Newcastle University and the Student Ambassador for Materials Congress 2016.